Sir Philip Green has been in secret negotiations this week with the Pensions Regulator about plugging BHS’s £571m pension shortfall, Frank Field, chair of the Work and Pensions select committee has revealed. The Topshop tycoon had promised publicly to “sort” the retailer’s pension deficit in a testy evidence session in Westminster two weeks ago, after the collapse of his former business left 20,000 BHS pensioners facing a cut on their income and 11,000 job losses. 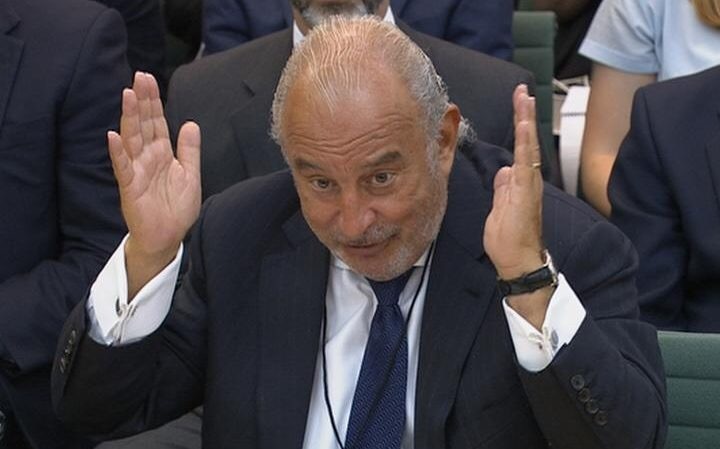 Mr Field teasingly suggested the codename of the latest pension restructuring proposal should be called “Project Tina, as the money will be coming from her” – referring to Lady Tina Green, Sir Philip Green’s wife and owner of the family’s retail empire. Neville Kahn, managing partner at Deloitte, who was being grilled by MPs about the collapse of BHS, refused to comment on the confidential discussions which occurred during a meeting on Monday between Sir Philip and The Pensions Regulator and would not give a timeline for a resolution. He did, however stress the codename was “Project Atlantic”, not “Project Tina”.